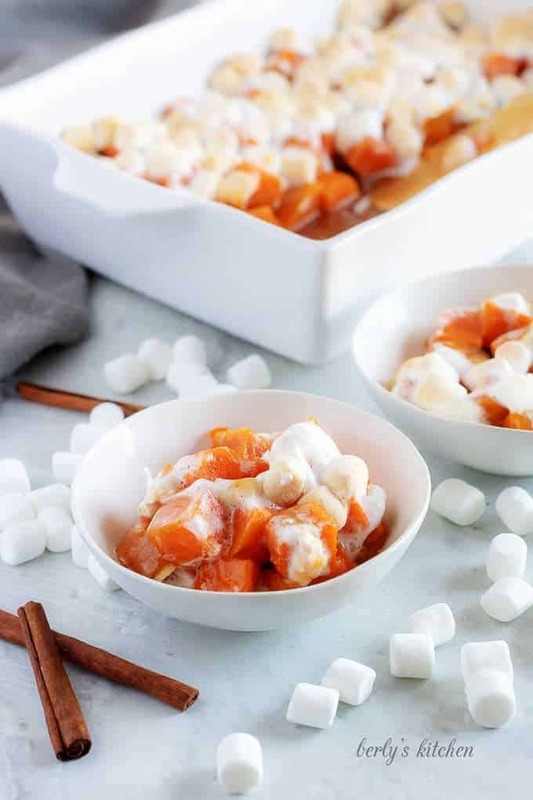 Sweet and spiced candied sweet potatoes topped with gooey marshmallows. The perfect dish for your next Thanksgiving dinner. It’s sure to be a crowd pleaser! Kim and I shared this almost a year ago. Since that time, a lot has changed at Berly’s Kitchen. For example, back then we didn’t provide any cooking tips. Furthermore, we’ve expanded our kitchen to include Instant Pot recipes and simpler dishes. So, when Kim decided to update this recipe, she had my support. 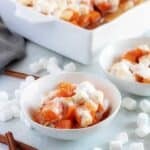 Our marshmallow-topped candied sweet potatoes needed to be refreshed with new pictures and more in-depth instructions. On this revised post, you’ll see new process photos and structured directions. It’s our hope that it will seem like a new recipe. 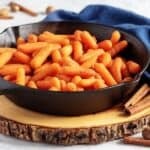 Kim even made a few subtle changes to the original formula to improve the overall flavor of the candied sweet potatoes. Don’t worry, they’re still topped with delicious marshmallows and follow our “simple but tasty,” motto. With that being said, it’s a Thanksgiving side dish, so expect to spend a little time in the kitchen. If you’re not a fan of sweet potatoes, then check out our oven baked ranch potatoes instead. Let’s get started. 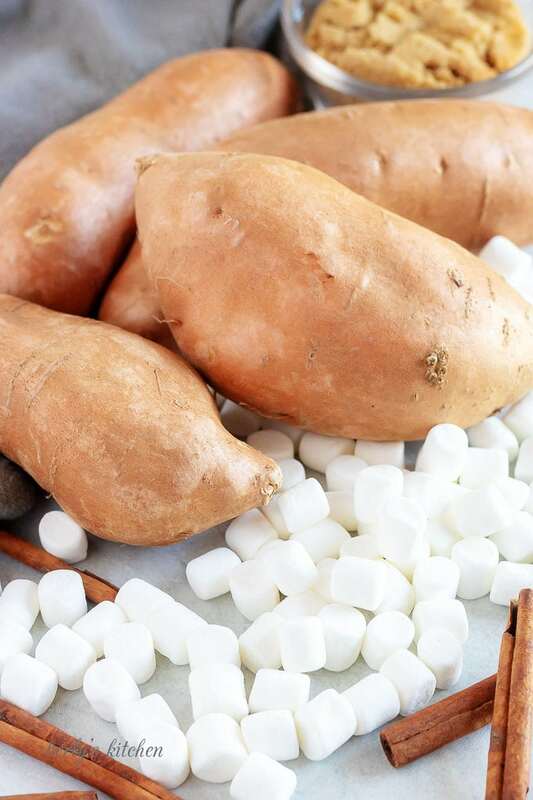 First, start by gathering all your ingredients; like the sweet potatoes or yams, marshmallows, and cinnamon. Now, preheat your oven to 350 degrees F. Go ahead and wash your potatoes and place them in a large pan. Add just enough water to the pan until the sweet taters are cover in about an inch of water. Next, once the potatoes have boiled for about 20-25 minutes, they should be fork tender. The times will vary based on the size of your taters, but for us, it was about 20 minutes. At this point, you want to let them cool until you can handle them. I recommend using some thermal gloves, but if you wait long enough, you should be able to peel them with your bare hands. Just, please. be careful and don’t burn yourself. Once you have them peeled, cut them into 1-in cubes and place them into a 9×13-in baking dish. Then in a medium saucepan, melt the butter and stir in the brown sugar, cinnamon, ginger, and vanilla extract. Let everything cook over medium-heat for 5-7 minutes. If it starts to boil, you may end up with toffee on your hands. Afterward, carefully, pour the sugar mixture over the sweet potatoes. 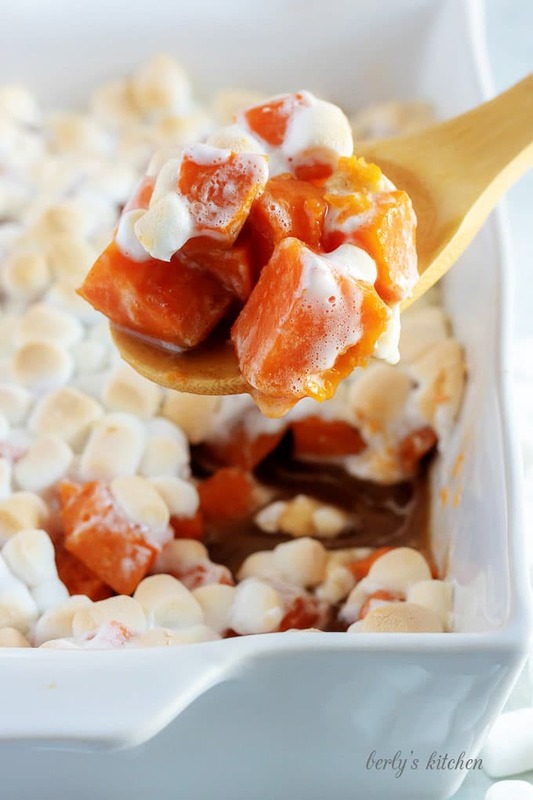 For now, it’s time to top those candied sweet potatoes with marshmallows. We used mini-marshmallows and it took 4-cups of the ingredient. However, if you use a large version of the sweet treat, then it may take quite a bit more to top all the taters. It’s up to you. Last, place the baking dish into the oven for 10-12 minutes or until the marshmallows have brown. That’s it, you’re candied sweet potatoes are done. Let them sit for 4-5 minutes to cool before serving, but don’t let them get cold. Any leftovers can be stored in your fridge for up to 3-days in a sealed container. Feel free to substitute yams in place of the sweet taters. I know some people prefer candied yams to candied sweet potatoes. To really save some time in the kitchen, try using canned sweet potatoes instead of fresh ones. 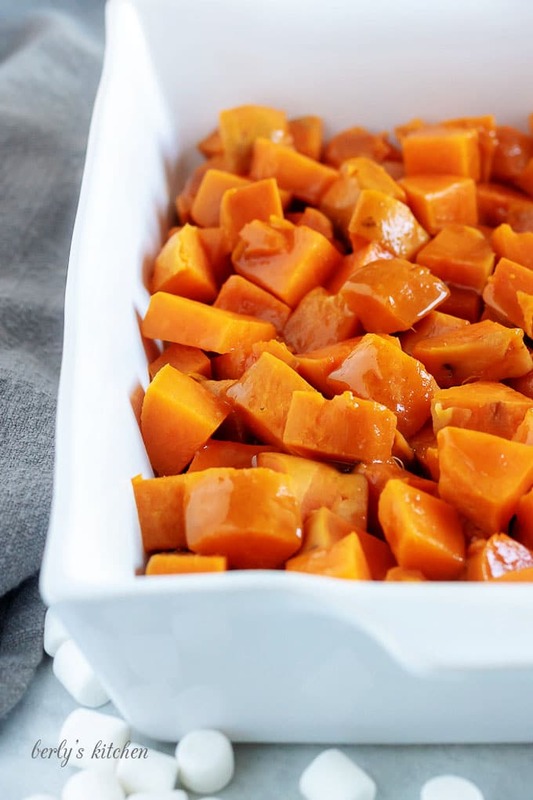 If you’re feeling really adventurous, then mash the sweet potatoes to create a sweet mashed potato dish. Want more Thanksgiving dishes? Then take a look at our Cornbread Stuffing Recipe or our Homemade Cranberry Sauce with Vodka! 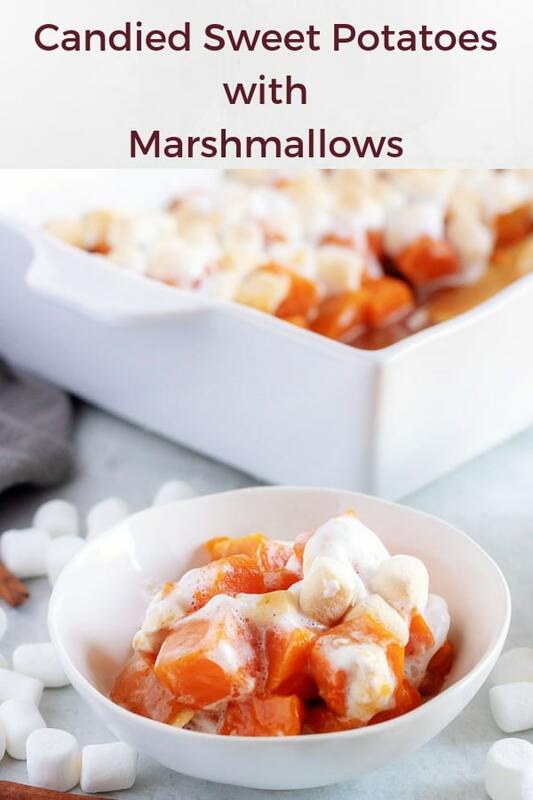 Sweet and spiced candied sweet potatoes topped with gooey marshmallows. The perfect dish for your next Thanksgiving dinner. 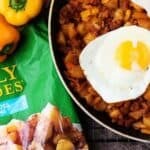 It's sure to be a crowd pleaser! First, preheat your oven to 350 degrees F. Wash the sweet potatoes, and boil them until they're fork tender. Remove the potatoes from the boiling water, and allow them to cool until you're able to easily handle them. Skin the potatoes and dice them into 1 inch chunks. Place the chunks into a 9 x 13 - inch baking dish. Next, melt the butter, brown sugar, cinnamon, ginger, and vanilla extract. Stir to combine, and carefully pour over the top of the sweet potatoes. 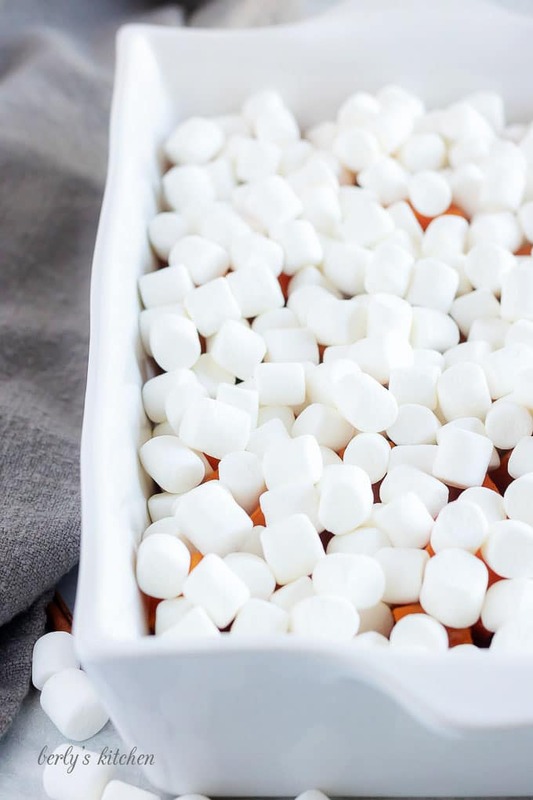 Top the sweet potatoes with marshmallows, and place the dish in the oven for 10 to 12 minutes or until the marshmallows are golden brown. Serve while hot, and store any leftovers in the refrigerator for up to 3 days. The calories listed are based on the ingredients and 1/2 cup serving size. Actual calories may vary. 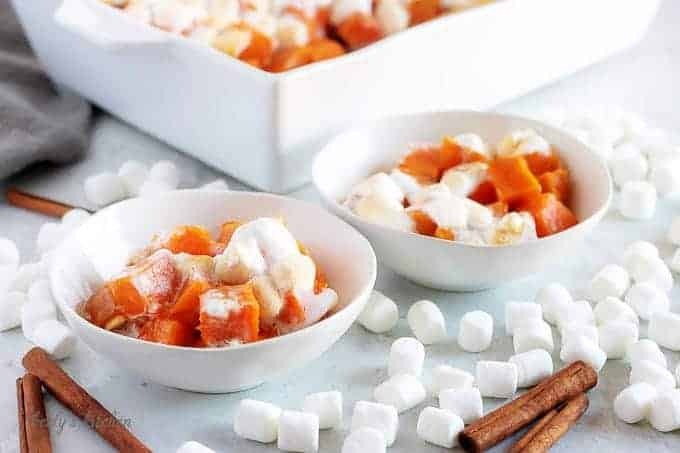 You can use four cups of marshmallows to make your candied sweet potatoes look like our version. The dish can be stored in a sealed container in your fridge for up to three days.